I've been itching ever since the beginning of November to play a Christmas song but no one would let me, not that I listened to anyone that was against Christmas music before December.. I don't believe in that. 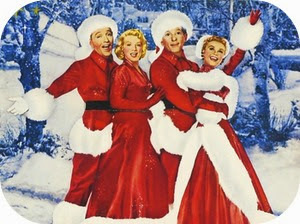 So I'm just here, once again, about to list you a couple of my favourite Christmas songs. Frosty the snowman - Jackson 5. Blue Christmas - Elvis Presley. Mistletoe Wine - Cliff Richard. Holly Jolly Christmas - Michael Bublé. White Christmas - Frank Sinatra. Merry Christmas Everyone -Shakin Stevens. Have Yourself A Merry Christmas - Frank Sinatra. I Wish It Could be Christmas Everyday - Wizard. Most Wonderful Time Of The Year - Andy Williams. Let It Snow- Dean Martin. Michael Bublé's for just £7.00. and no other than Idina Menzel's Christmas album for £7.99. So these are my 17 top favourite Christmas songs! There is not one winter I could imagine of not playing these at one point or another. They are my most favourite! Yes some of these may seem cliche but oh wells... They are the most known and to a very far extent, I actually love them! Most are just covers of the original song but they are equally the same. This songs are just so festive and I believe they most definitely give that christmassy feeling. They're the best to listen too whilst decorating the tree, wrapping presents, cooking the Christmas festive meal and even to play softly in the background throughout Christmas Day lunch with the family. Hope you're all feeling festive so close to Christmas now! Next post will most probably be a Christmas outfit post, so stay tuned!